Most Saturdays and Sundays, weather permitting and commitments permitting, I go an 30 to 40 mile bike ride. This is one of my best listening times as I have next to no distractions. Unfortunately it is also one of the least quality listening times. Typically I am listening to Spotify through $20 yurbuds. Between the low quality audio and the wind whistling it is not a great listening experience. But the focused solitude more than makes up for it. What follows is not really a playlist. I am not a song guy, but an album guy. On my 30 mile ride today I listened to 3 albums without any premeditation. A few weeks ago I clicked on a Tweet from the LA Times that highlighted their pop critic’s best of 2013 so far. 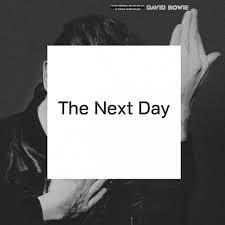 David Bowie, “The Next Day” was on the list so I thought I would give it listen. How is it that guys like Bowie and Dylan can toss off masterpieces late career? This album is shockingly good. I particularly like the arrangements and horns. Bowie’s vocals are strong and passionate. It sounds like classic Bowie, but totally of the moment too. Listening to Bowie somehow made me wonder about Joy Division. 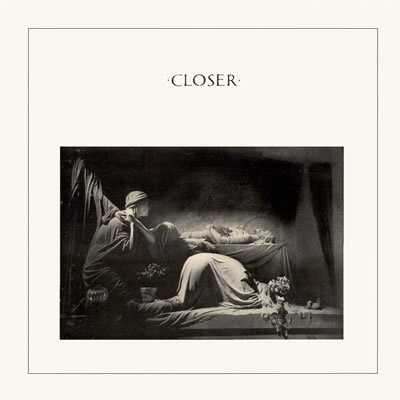 So I searched Joy Division on Spotify and selected Closer. For an alleged music head I have some serious gaps in my listening experience. I have never listened to Joy Division despite being a moderate New Order fan. I can see why this is such a huge band. Despite being released in 1980 this sounds totally timeless and could have been issued yesterday. This is the darkest disco you could ever imagine, but it is disco. It has incredible groove even if it goth as hell. I am impressed – I will be back. Last week on my ride I listened to the latest Black Sabbath so that must have been in the back of my mind as I dialed up Dio’s debut Holy Diver. Ronnie James Dio’s vocals have graced Rainbow and post Ozzy Black Sabbath and he had a nice little career as a leader with the band Dio. 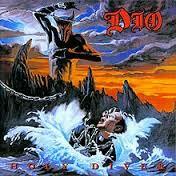 Dio has the quintessential metal voice – a melodic scream. His voice is highly commercial with an appropriate edge. This album could have been hair metal, but has a authenticity that avoids caricature. So that was my ride today. Not sure how it all fits or what it says about my taste.